This is my first attempt at sketching a star field. Media: Graphite #2 Pencil on white paper. Photoshop inversion, enhancement. 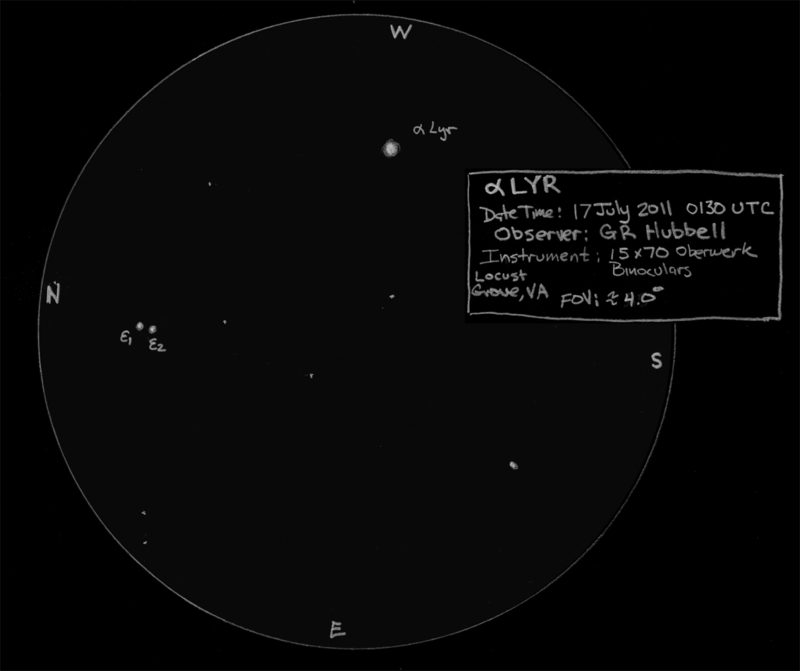 Notes: Alpha Lyra drew my attention right at the end of twilight, and it was a beautiful sight with the Epsilon 1&2 double nearby. I could not quite discriminate (split) Zeta 1&2 to the lower right of Alpha, but I could tell it was elongated showing a hint that it was double. Welcome in world of astronomy sketches. Your sketch is nice. I am waiting for the next one.